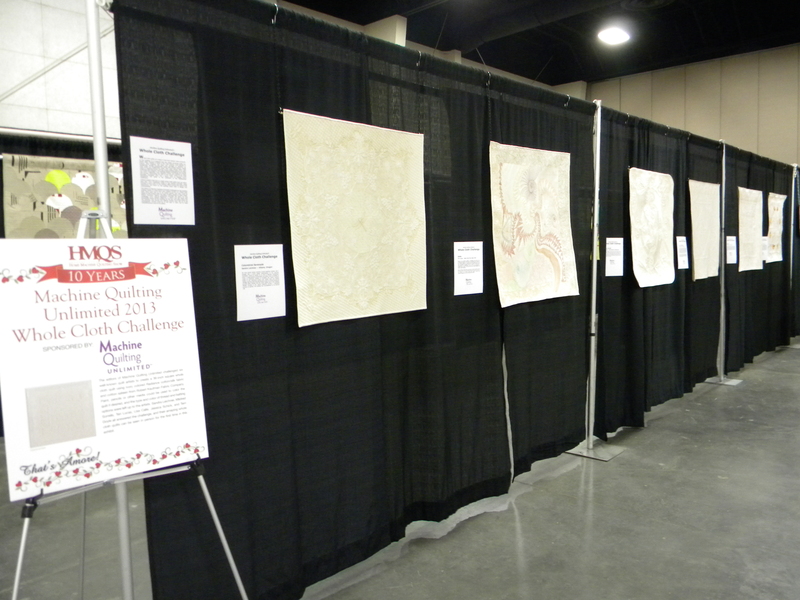 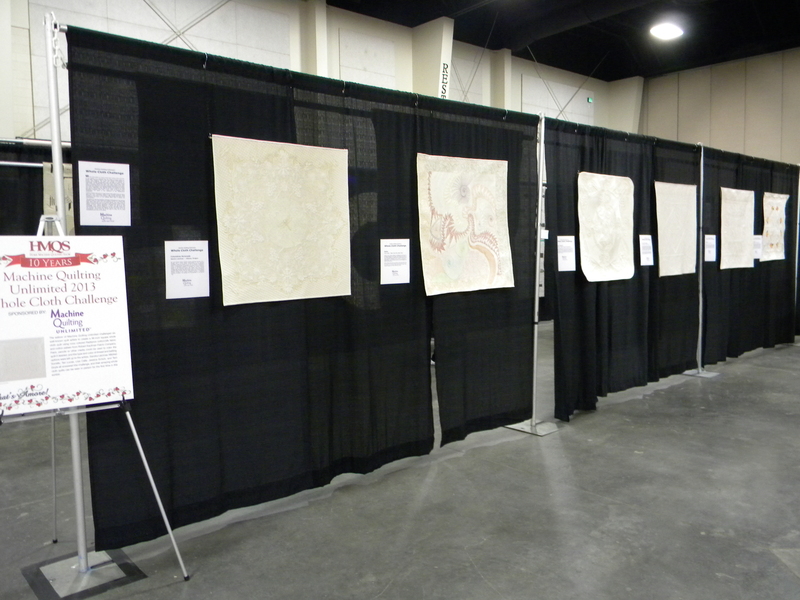 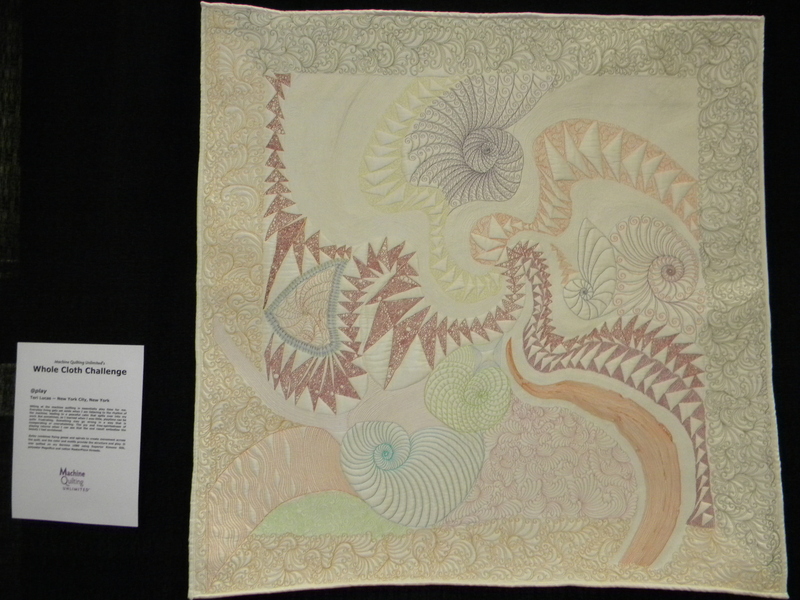 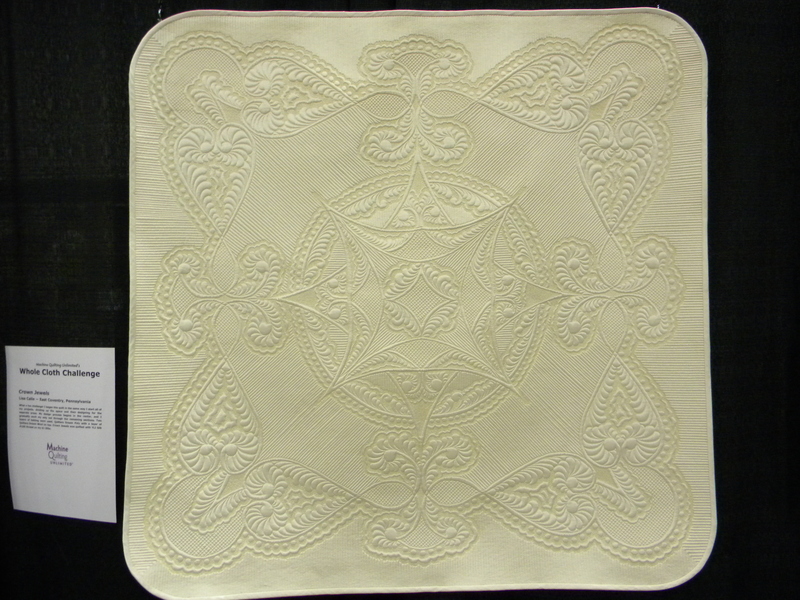 My gratitude to Sherry Reynolds for taking the time to visit the exhibit and take photos for me to use on my blog. 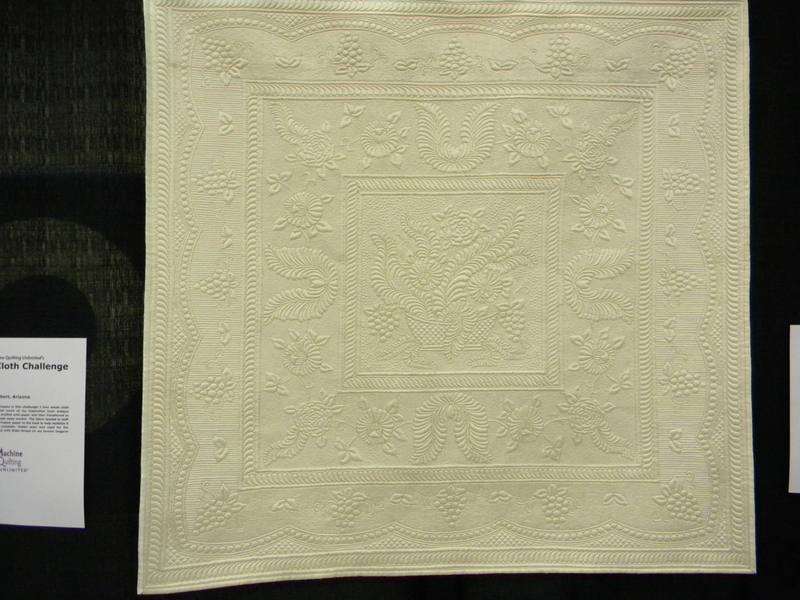 This is a gift for me as I was not able to attend HMQS. 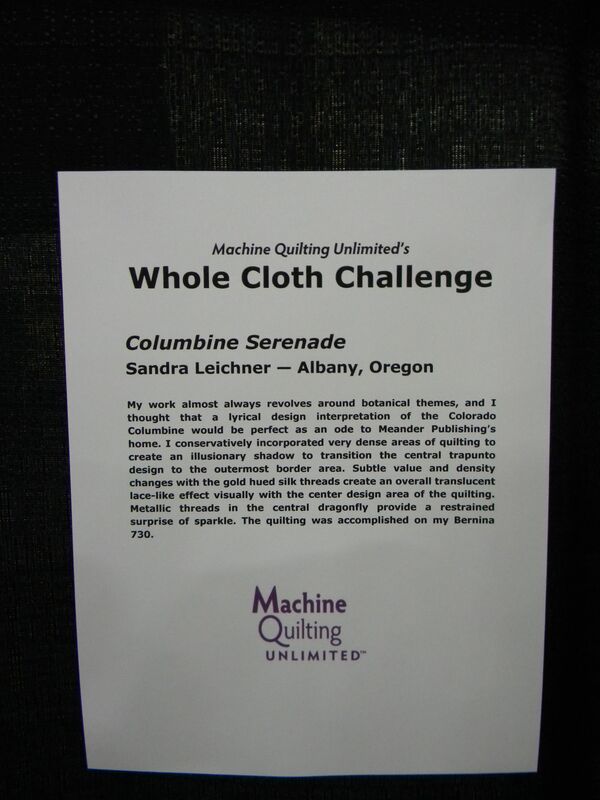 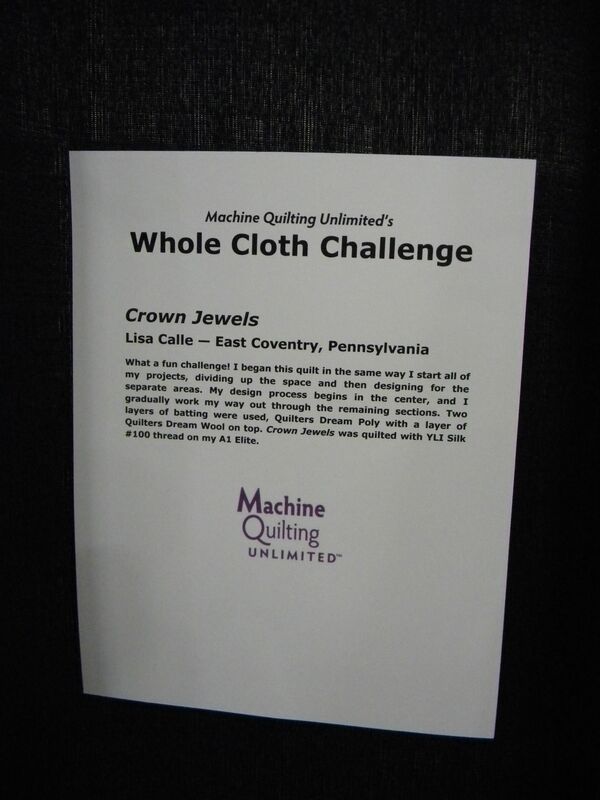 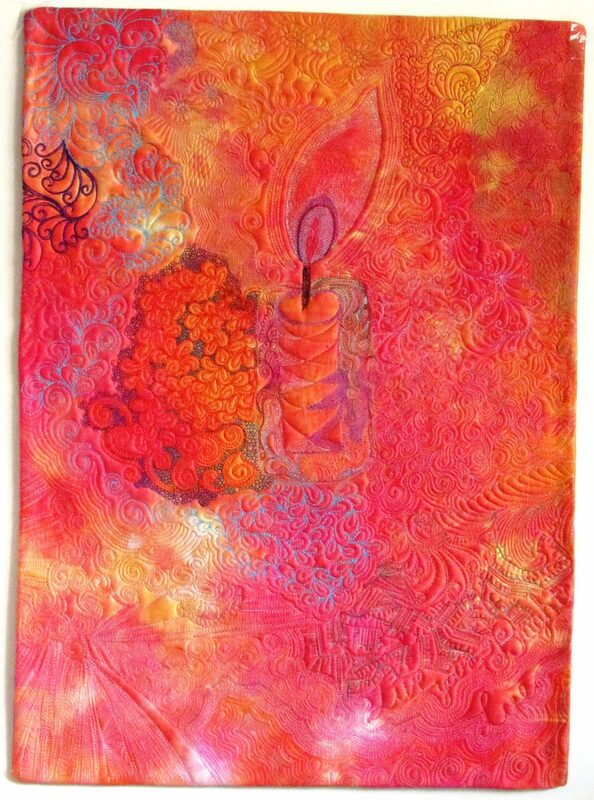 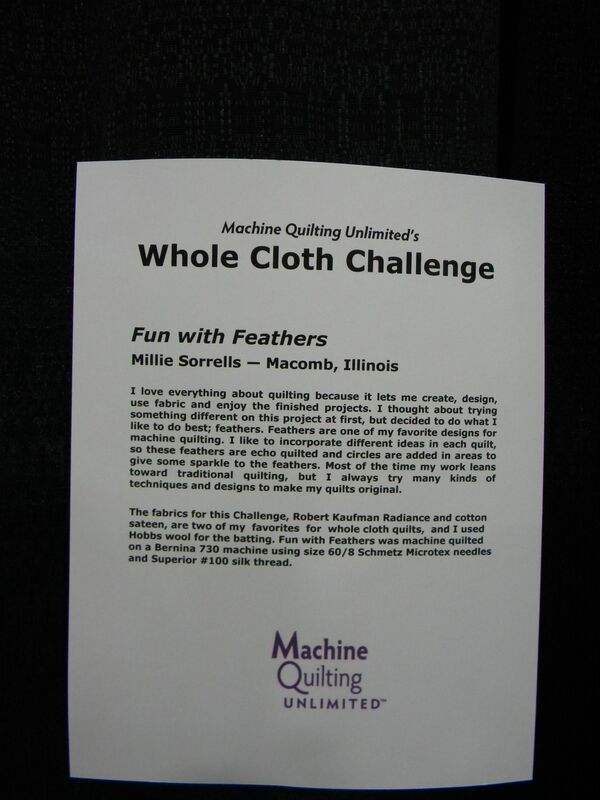 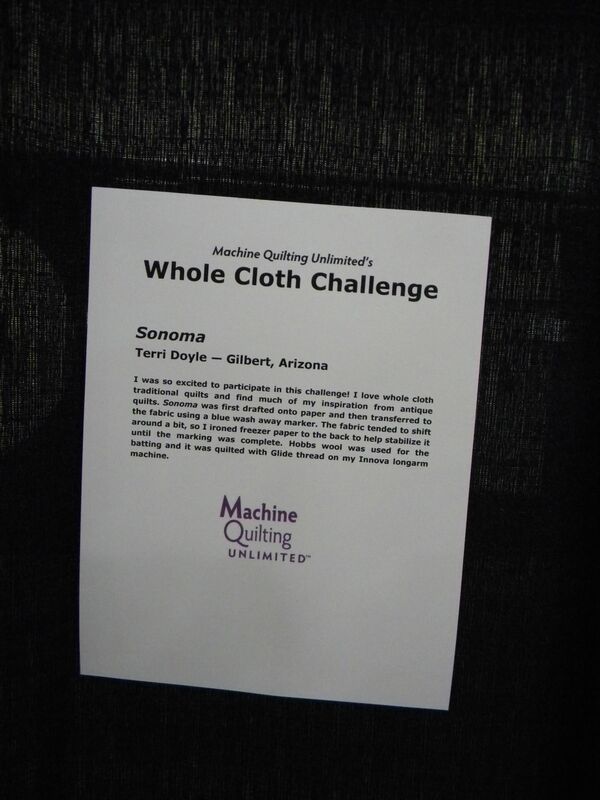 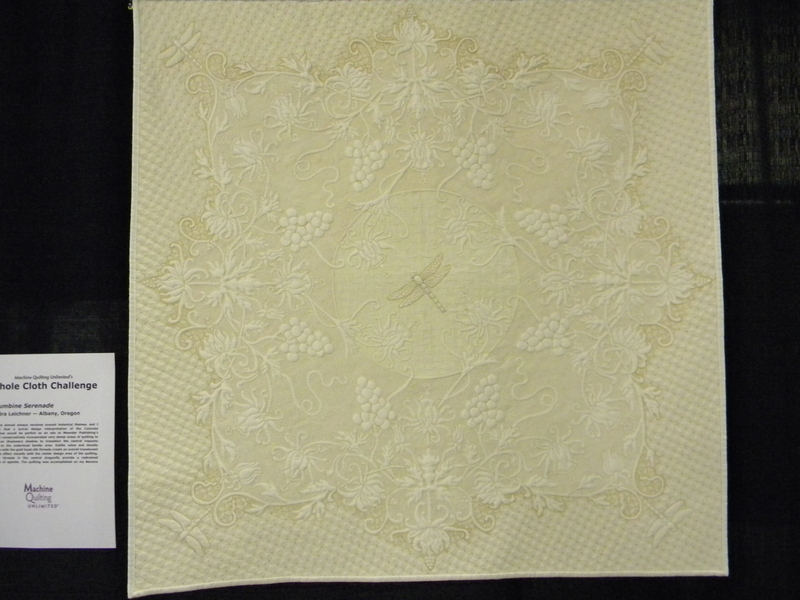 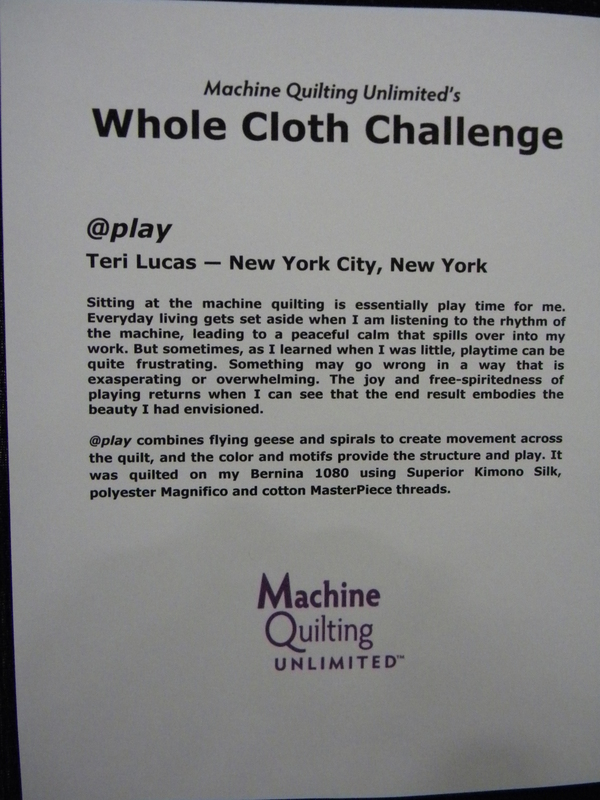 My gratitude to Vickie Anderson and Kit Robinson of Machine Quilting Unlimited for inviting me to participate in the wholecloth challenge. 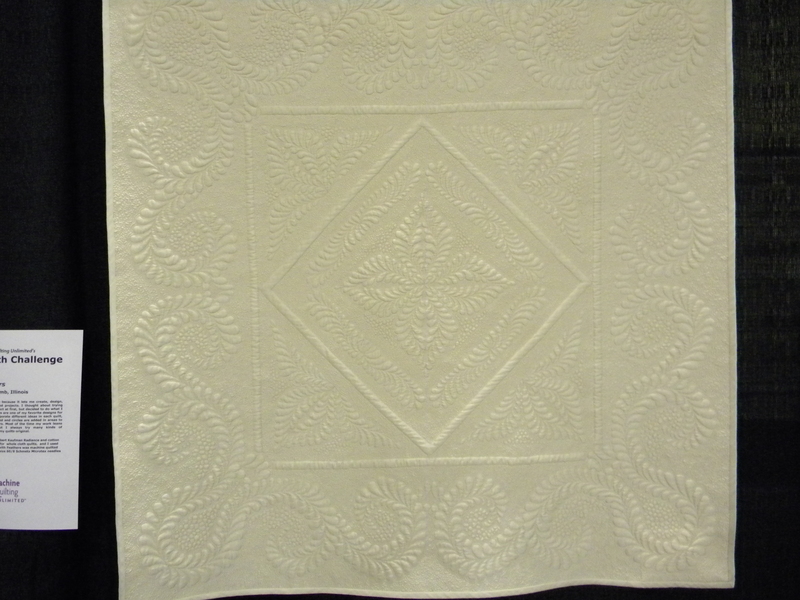 I’m going to be somewhat brutally honest about my own quilt here, it needs to be blocked. 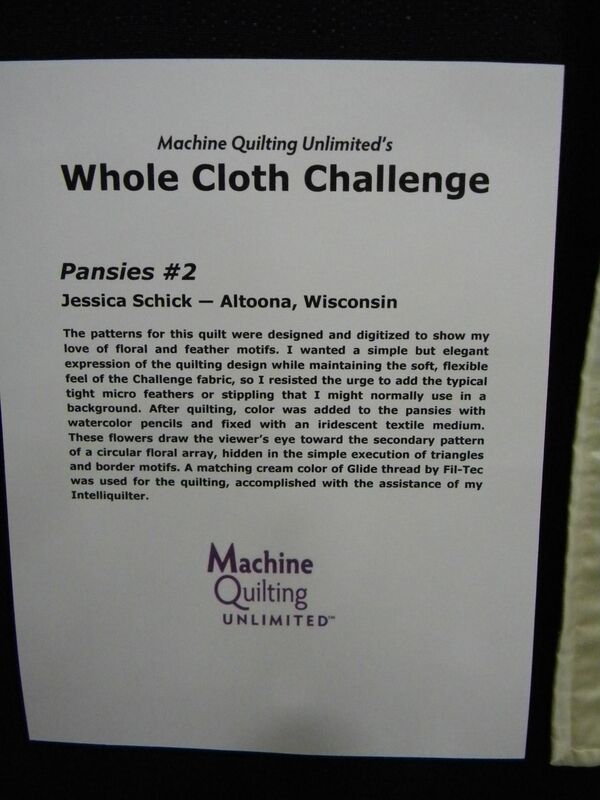 I can see it from here. 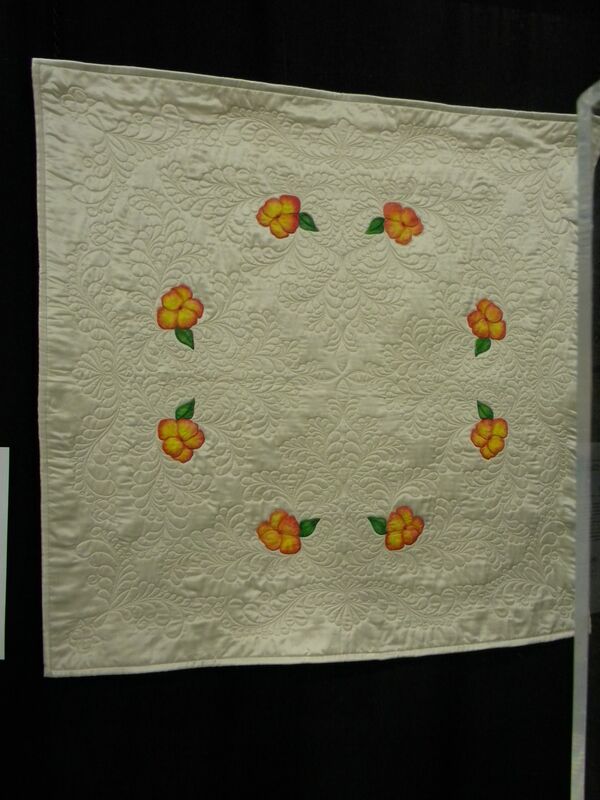 I’m passionately in love with this quilt and it’s generating all kinds of ideas in my for new ways to envision this.